The detailing on this is simply astounding. Price remains to-be-determined but one can already assume it won't be cheap. When more information becomes available - i.e a release date - I'll be certain to update you! Is this based on the Manga? Cause A. X is crying and B. Zero's hair looks all loose without any definition or spikiness, doesn't have that samurai band thing and I'm pretty sure I'm seeing heavy eye lashes. Basically X is acting a million times more like a wuss and Zero looks a million times MORE feminine. Traits of the Manga. First sentence of the article. Yeah I still hadn't read that up until you pointed that out. I'm so use to blogs not including that kind of info that I jump sight to the comments. I wonder if there are clear design differences from the Manga to Keiji's and Kaji's original designs. For some reason I would actually prefer that since they are so different anyway and I cater tell them apart outside of just art style. Also I never read the manga that deeply, so this scene is different in the Manga huh? 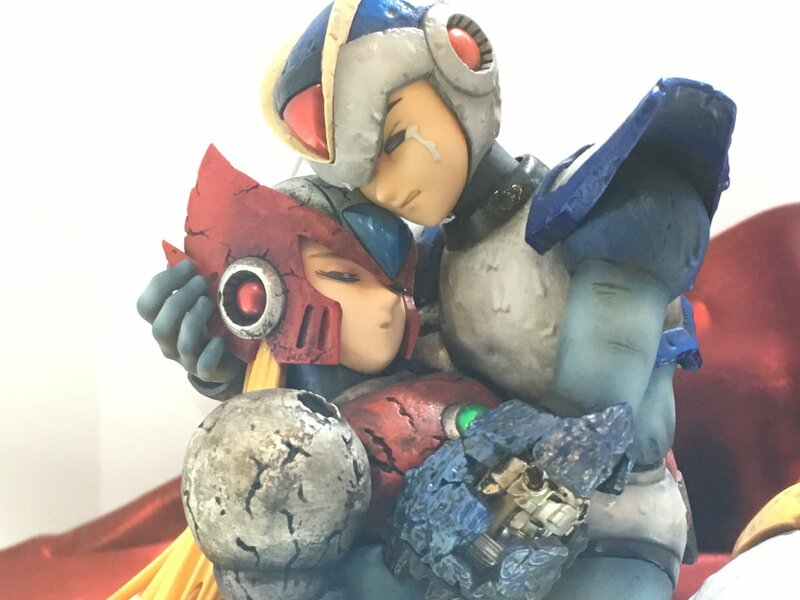 Zero doesn't disintegrate and junk, he's just there being held by X until X puts him down eventually (I'm assuming, it'd be weird if something had to literally knock Zero out of X's hands hahaha)? 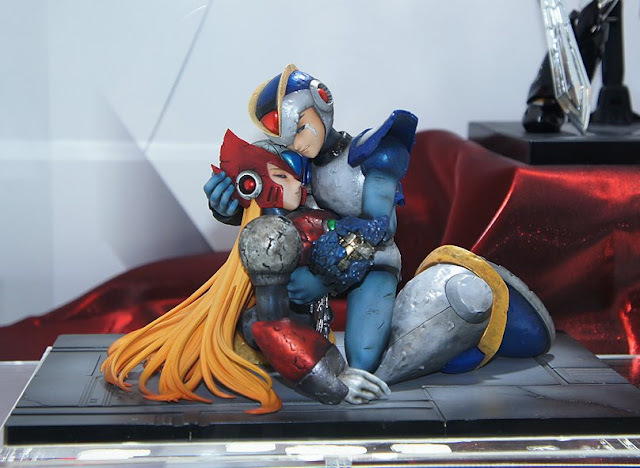 Unless this is the X5 scene or completely unique? The manga can't be that different, I mean it's the first armor X... at least visually to the games. mmm...even in the game, Zero does'nt desintegrate immediately if i remember well. Also, there are not much difference in design, aside from the proportions of the characters body and face. (manga X have a longer neck, longer shoulder pad, and he look somehow taller, and of course he have the face of a 90's manga character). This is the manga version of the X1 scene, not another scene. You do realize that X can experience emotions like a human right? This has been canon since literally the first game on SNES. You can't seriously be this ignorant, Anon 1.
so much manly comraderie in this. Something looks off to me, I don't know if maybe is the colour or how the damages look, but looks good overall anyway. 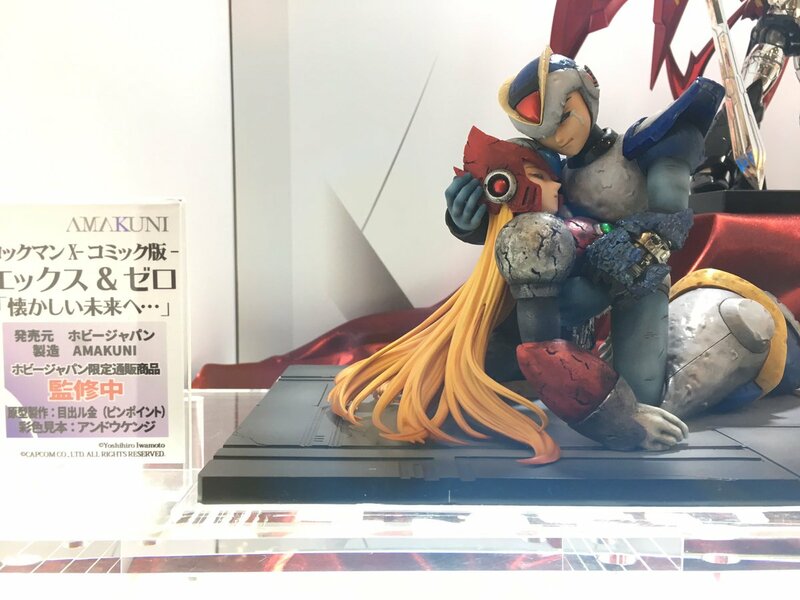 I bet is going to be very limited and expensive, I hope is available on Amiami. That's because the proportions of the characters are a bit different in the manga's artstyle than in the games.